A Risk Free Buying Experience! People often ask us about the difference between various types of retailers that sell pre-owned furniture, and what to expect from each. There are five broad categories in this field, and while they are explained separately, they sometimes overlap. Also, while we are focusing on furniture, many shops sell a variety of products. Consignment stores sell furniture on behalf of the owner. In return for providing floor space, marketing, and administration, they retain a commission on the pieces they sell. They pay attention to condition and quality, and accept each item (or set of items) individually. You will often find brand names and high-end furniture here, at a fraction of the regular retail price. When you buy at a consignment store, ask about their markdown policy. At Bits & Pieces, we reduce the prices of items at certain intervals (and indicate this on the price tags). In addition, we often have a select number of items that go on sale on Thursdays, so it’s worth signing up for our weekly update, and following our Facebook page to receive notification of our special offers, as well as new items in the store. At Bits & Pieces, we pride ourselves that, like any good consignment store, we are open and transparent with our consignors – they have accounts with us that allow them to track their items online, see what is still available and what has been sold, and how much money is in their account. We update accounts daily, and we have a contract with our consignors detailing how the process works. These shops purchase used furniture, and then sell it for a profit. Much of the stock comes from bulk purchases, at auctions, or estate sales, where they pay a low amount for a ‘lot’ (one price for many pieces), in the hope that it will yield some high value items. You can typically find a wide variety of items across the price and quality spectrum at second hand stores. If you are selling, this is a way to get rid of a large number of items at once, for instance when you are seriously downsizing, or moving across country, or closing down an estate, but you will have to sacrifice price for convenience. Thrift stores sell items that were donated, at very low prices. Although the quality of products are generally not very high, they do offer some treasures for those who put the time and effort into browsing there regularly. Some are non-profit organizations, while others are not. Many thrift stores have signs that will tell you where their proceeds go, but if you are still unsure, ask an employee. Antique stores are a mixed bag. Sometimes they are just regular second-hand stores with a fancy name; sometimes they are really authentic antique stores. The most important thing to keep in mind if you are in the market for antique furniture is reputation. Know what you want, and do your research. Ask around, use the internet, but make sure that if you are going to put down a sizeable amount of money, you know what you get, and you get what you pay for. If you are selling, find an antique dealer who specializes in the type of items you want to sell, as they will have a network of people interested in that, and that should help you get a good price for your furniture. OK, so this is not really a shop, but it is worth mentioning. Auctions can be fun, entertaining, and a source of great bargains. It will be to your advantage to check what is on sale beforehand, do some price comparison, and know that sales are often done in ‘lots’. So that beautiful vase that you are interested in might not be sold as an individual item, but as part of a ‘lot’ together with everything else on that table. It might still be worth buying, but you don’t want to be caught off guard. Check the conditions of the auction beforehand, for instance, most auctioneers charge a buyer’s premium, which is a percentage of the sales price that the buyer has to pay the auction house on top of the bid price. As a seller, this is an efficient way to get rid of a large number of items at once, but you are also at the mercy of conditions beyond your control, such as the weather and attendance. You will find there are retail stores that take some items in to sell on consignment and other items the store has purchased for re-sale. They may sell antiques, new and used furniture, and even sell some new and used clothes. 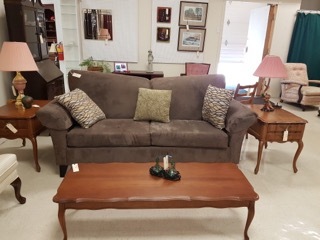 Bits & Pieces sells furniture and décor on consignment only. We do not buy items and re-sell in direct competition with our Consignors. For some, shopping for used furniture is a great way to save money. For others, it is an opportunity to find pieces of furniture that are not commonly available in regular furniture shops. Sometimes, it is the sheer delight of finding a seemingly unusable item, and seeing the potential that a little TLC can offer. In order to help you enjoy the experience as much as possible, we’ve put together 7 tips to guide you in your shopping expedition. Be prepared Know what you are looking for, and keep notes of dimensions and measurement. One way to make sure you’ve always got it with you is to keep it on your phone. You never know when you are going to come across just the thing you’ve been looking for. Quality matters Unless it’s really cheap, and you are going to use it as is, you want to make sure that your find will last long enough to justify the time and money you are spending on it. Beware! At Bits &Pieces, we only accept furniture of a high quality, and in good and clean condition. But that is not always the case everywhere. Inspect your potential purchase carefully before making the deal. Look in the drawers; you never know what might be lurking there. Insect egg sacs are not the kind of freebee you want. Some odours linger on forever, so don’t be shy to do a sniff test on soft furnishings. Does everything (drawers, doors, hinges, locks) work as it should, and if it doesn’t, can it be fixed? Sit on chairs and sofas, and don’t be afraid to ask to turn it over to look at the frame structure. Look with your inner eye This is one time where you do not want to judge a book by its cover. There will be times when you will find what you are looking for, in perfect condition, and exactly the colour you want. However, more often than not, you will need to look past some flaws and see what can be. Scratches can be fixed, dents and missing parts of furniture can be restored. Furniture can be painted, re-upholstered or re-stained. The possibilities are endless. Some of it you might be willing and able to do yourself, but you can also have it done professionally. Our sister store, The Strippers, will be able to assist you with your restoration projects. It takes time Sometimes luck strikes, and you find your treasure on day one. But especially when you are looking for a specific item, you might make numerous shopping trips before you find the gem. 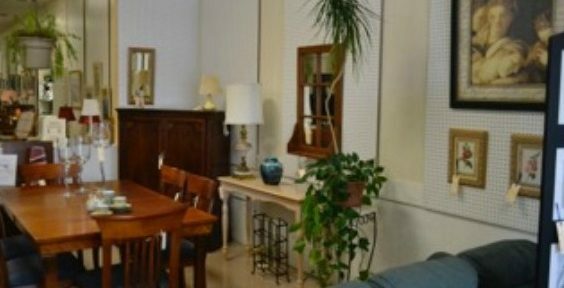 At Bits & Pieces Furniture & Décor Consignment Store, or any of the used furniture stores, there is a constant turnover of items. However, at Bits & Pieces if we don’t have what you are looking for, talk to us, and we’ll help you keep an eye out, and let you know when we come across something that might interest you. We’ll also put you on our list for our ‘New This Week’ newsletter, so you can keep up to date with our new items. Follow us on Facebook and Twitter, where we regularly post information about new inventory, as well as special offers. Know your budget Remember to add the additional costs to the price tag. If it is a big item, you might have to pay extra to rent a truck to get it home, or to have it delivered. If it needs re-upholstering, refinishing, or painting, know the costs associated with the services and materials that you’ll need to get it ready to use. Ask At Bits & Pieces, we are happy to help. Want to know more about the make and design of our items, or advice on restoration, or fabrics, or upholstery? Please ask, we can usually tell you much more about an item than what is captured on the tags. Welcome to the new section of our site we will be adding new blog posts to help you!